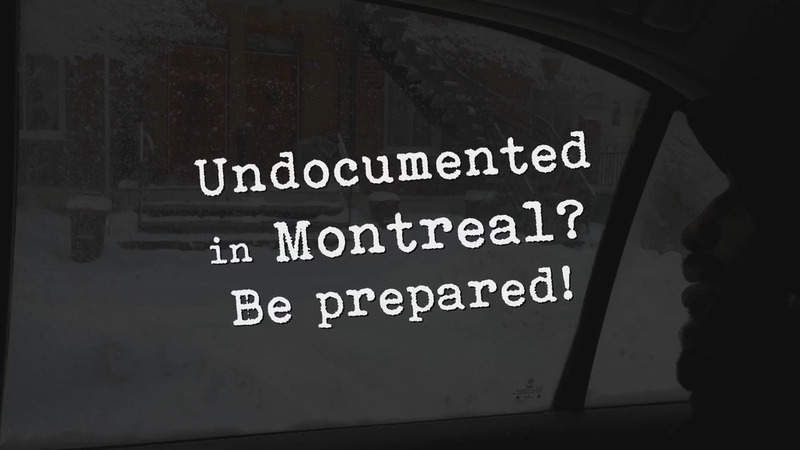 These two short videos are aimed at making the undocumented members of our communities safer in their interactions with Montreal police (SPVM). By undocumented, we mean people who have stayed after being ordered to leave Canada, overstayed a visa, etc. 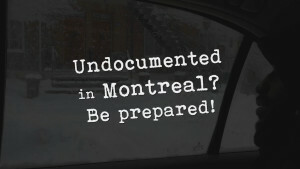 Despite Montreal’s Sanctuary City declaration, undocumented community members continue to be at risk if they come into contact with Montreal police. Montreal police can hand undocumented migrants over to the Canadian Border Services Agency (CBSA), which is responsible for detaining and deporting migrants. In our short videos, we have drawn on true experiences to construct two scenarios to help other undocumented community members prepare for unplanned interactions with the police. While our videos both have happy endings, not all interactions with the SPVM end well. Montreal police officers routinely check for outstanding CBSA-issued arrest warrants unrelated to the reasons they stopped you. They can also proactively call the CBSA to check your immigration status. They may aggressively insist on seeing a piece of ID, even when they have no valid reason for asking. These interactions can be stressful and overwhelming; it can be hard to think on the spot. While there is no “right” strategy that will keep you safe in all situations, thinking through possible scenarios and being prepared can help you keep yourself and your family safe.